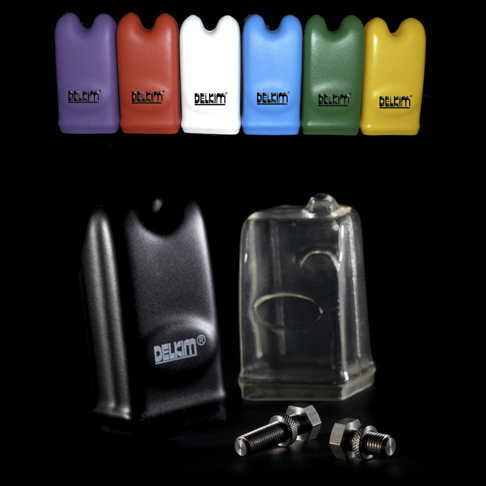 The Delkim Smart Clip is a unique multipurpose line clip which can be used as a conventional fixed clip but more importantly as a running clip in many configurations. 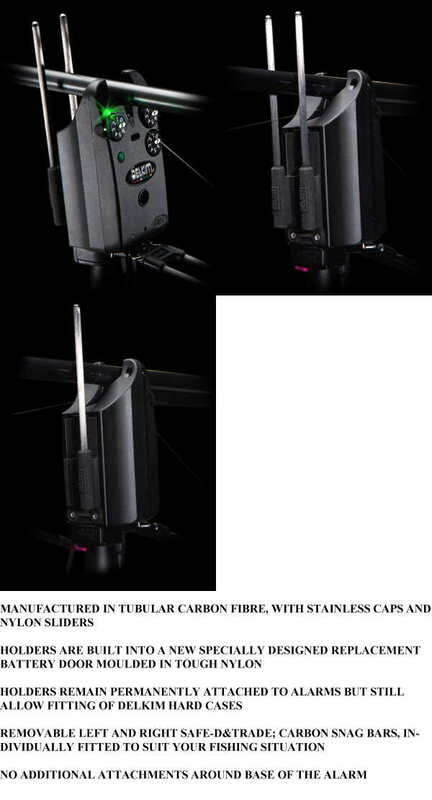 It is designed to allow the bobbin or visual indicator to travel right up to the rod before the line tightens. 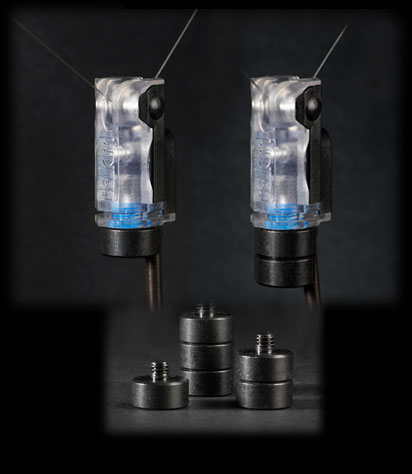 This enhances bite indication but it can also be used to change the effective weight of the bobbin by adjusting its position along the rod. This Angle Adaptor fit Gardner TLB Alarms. This Angle Adaptor fit Fox Eos Alarms. Increase the sensitivity of your ATTs Alarm with these interchangeable Magnet Roller Wheels. 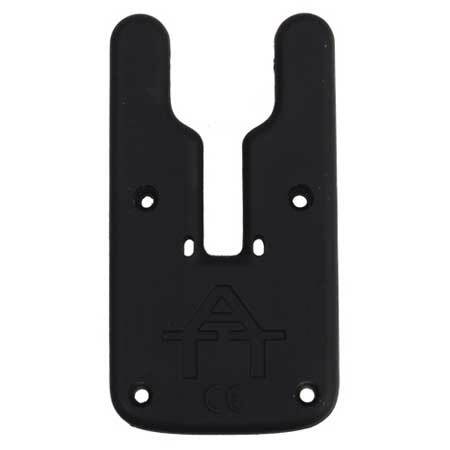 This is a black neoprene cover for the ATTs alarm, in a forgiving, easy to fit/remove Neoprene material. Suitable for both the Original ATTs and the new ATTs Illuminated Wheel Silent Alarms. To replace the back cover simply follow these steps. 1 - Remove the screws as you would normally do when replacing the battery. 2 - Very carefully remove the rubber seal from inside the old back cover using a small flat head screwdriver or any other small item, making sure that you use as little pressure as possible as to not break the seal. 3 - Insert the seal into the new cover making sure it fits snugly into the guide and use the same tool as used when removing the seal to lightly push it back into the guide. 4 - Slide the cover back in place and fasten the screws like normal making sure that you do not over tighten them or you might crack the casing.